With a view to offer intellectual entertainment, new experiments are being tried in the Marathi film industry. But such films should not be content with prestigious awards. It is very necessary for them to garner a satisfactory audience response too. If this does not happen, then such films will witness only good promotions and critical acclaim from media and little more. Recently released film ‘Bioscope’ offers something different and has four different stories presented by four directors. Actually, the film was complete about 15 months ago; but due to reasons unknown, the release of this film was postponed. One story from this film was independently showcased as a short film at the National competition, and won the best short film award. The first part of this film begins with the story based on Mirza Ghalib’s famous Ghazal ‘Dil-e-Nadaan’ directed by Gajendra Ahire. It presents two veteran artistes, a singer (Neena Kulkarni) and a Tabla player (Suhas Palshikar), who are spending their retired life peacefully in Indore and reminiscing about their past glory. Their dialogues are very appealing. 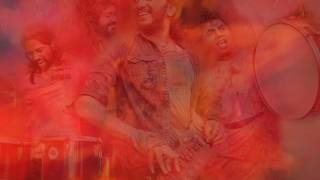 The second part directed by Viju Mane presents the story based on Soumitra’s poetry on rains. ‘Ek Hota Kaau’ is a story of a person working in a garage (Kushal Badrike), a man with low self-esteem who likes a beautiful girl Pakali (Spruha Joshi). The third part ‘Baail’ directed Girish Mohite is based on Loknath Yashwant’s poem, which highlights the reasons behind a farmer in Vidarbha (Mangesh Desai) bring driven to suicide. The last part is directed by Ravi Jadhav, which is based on the story of late Vijay Tendulkar. The story attempts to show the frustration of a lesbian Sumitra (Veena Jamkar).The poem is by Sandeep Khare, who has also played the young man who is attracted to Sumitra. It is a story set during the pre-independence period and it generates interest when Sumitra proceeds to Ahmedabad to meet her ‘friend’ (Mrunmayee Deshpande). The plus points of this film are good performances by all the artistes performing in four different stories. The film has succeeded in presenting human emotions and pains effectively, through its cinematic presentation. The film has four different stories and also four different music directors! The highlight of this film is when the poems are read out by renowned lyricist and film maker Gulzar. The film is produced by Ajay Shevde’s Golden Tree Entertainment Pvt. 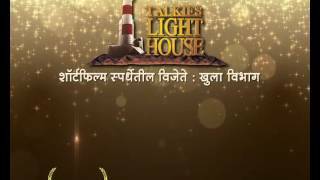 Ltd, co-produced by Viju Mane Productions, Athansh Communications, Pre To Post Films and Goda Talkies, while it is presented by Shekhar Jyoti’s PSJ Entertainment. 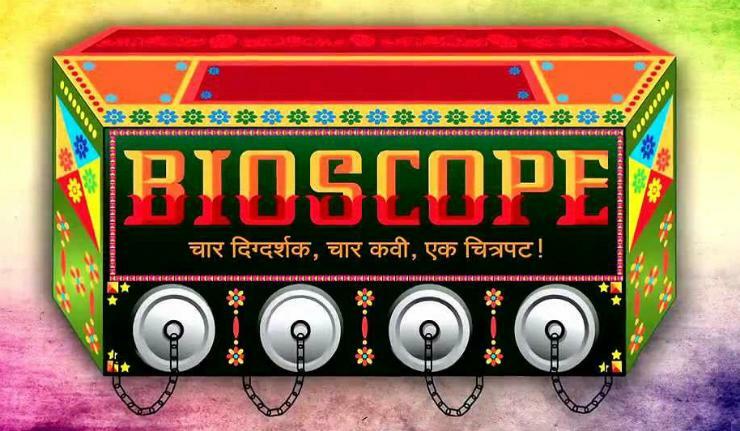 Click here to know more about "Bioscope"